Admission free on May 4. Admission free on Oct 1. Admission free on March 20. Entrance and ticket office close 1 hour prior to closing time. 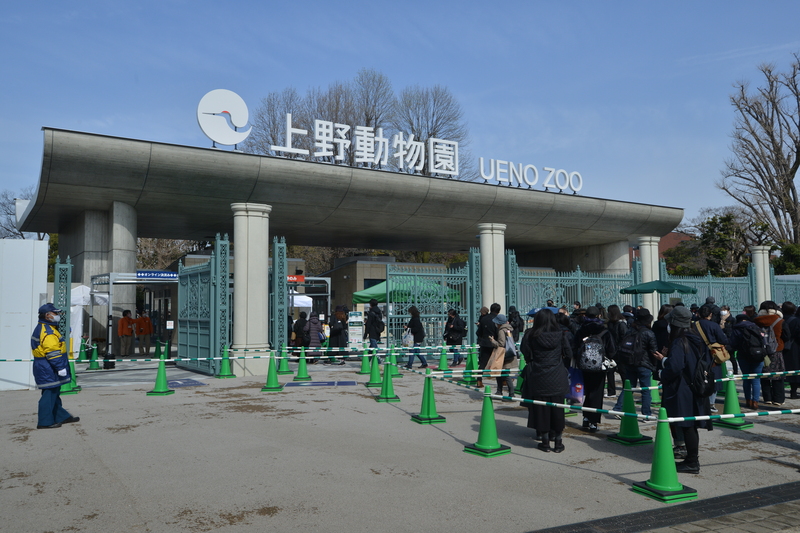 Ueno Zoo opens 9:30 to 17:00 (tickets sold until 16:00) and closes every Monday(closes Tuesday if Monday is a public holiday or Tokyo Citizen's Day [Oct 1]) and December 29 through January 1. ① 5 minutes’walk from JR Ueno Station Park Exit. ② 5 minutes’walk from JR Ueno Station Shinobazu Exit. ③ 4 minutes’walk from Keisei Ueno Station. ④ 8 minutes’ walk from Subway Ueno Station (Ginza/Hibiya Line). ⑤ 10 minutes’ walk from Ueno-okachimachi Station (Oedo Subway Line). ⑥ 5 minutes’ walk from Nezu Station (Chiyoda Subway Line). *We have no parking lots, but there are toll ones in the vicinity. 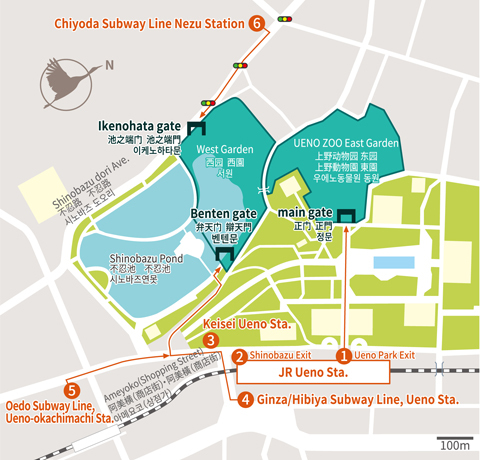 Ueno Zoological Gardens is the oldest zoo in Japan. 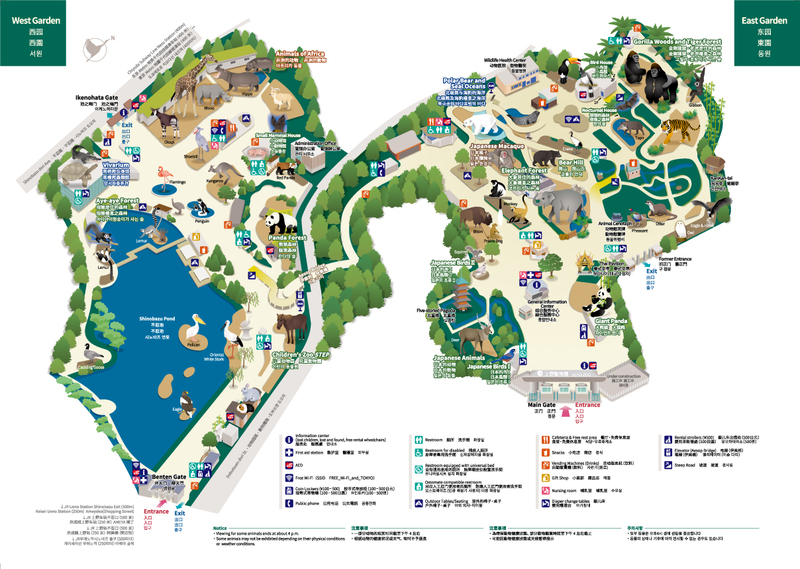 Founded in 1882, it has grown over the years, expanded its area to 14.3 ha (35.2 acres) and been the flagship of the Japanese zoo world. Now it's home to over 3,000 animals from 400 different species and provides visitors with learning experience about the diversity of animals as well as fun and enjoyment. In its long history, Ueno Zoo has received numerous animals from abroad. 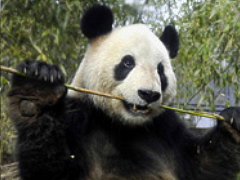 In 1972, the first giant pandas arrived from China to Ueno Zoo. 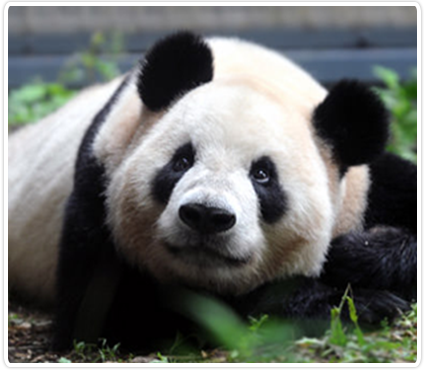 We have been cooperating with Beijing Zoo (China), San Diego Zoo (US), and breeding of wild giant pandas. 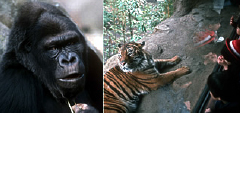 After Ling Ling's death in 2008, Ri Ri and Shin Shin arrived at the zoo in 2011. 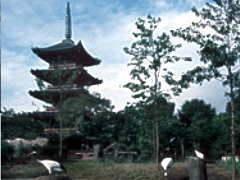 The Five-storied Pagoda and the tea ceremony house give the zoo a Japanese touch. The pagoda was built in 1631, rebuilt after destruction by fire, and in 1958 the owner, Kan'ei-ji temple, gave the pagoda to Tokyo Metropolitan Government, who assigned its management to Ueno Zoo. The tea ceremony house was built to entertain Shoguns in 17th century, and it stills stands as a historic structure in the zoo ground. Take a short ride by Monorail to the west lower area. Okapis from San Diego Wild Animal Park and aye-ayes from Tsimbazaza Zoo (Madagascar) are quite rare species, which came to Ueno Zoo as a part of international breeding cooperation. 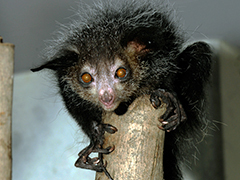 We have succeeded in breeding of aye-ayes as well as pygmy hippos, which are also endangered in the wild. In the Small Mammal House, you'll find the wonder of nocturnal animals. In 1999, the Vivarium (Reptile and Amphibian House) has been completed, where world's rare fishes, crocodiles, turtles, snakes and frogs can be seen in the green house. Shinobazu Pond in the West Area is a unique habitat for wild common cormorants, Phalacrocorax carbo, which once were seen everywhere in Japan, but now are endangered. Giant pandas, Asiatic elephants, Pheasants, snow owls, raptors, Sumatran tigers, Indian lions, western lowland gorillas, gibbons, Bird House, Nocturnal House (mouse deer, leopard cats, slow lorises, bats), South American tapirs, cranes, California sea lions, bears (polar bears, Hokkaido brown bears, sun bears, and Japanese black bears), otters, sacred ibises, birds of Tokyo, monkeys (Japanese macaques, white-mantled black colobuses, black-handed spider monkeys), prairie dogs, etc. African animals (black rhinos, hippos, pygmy hippos, giraffes, zebras, okapis), maned wolves, aardvarks, gray gentle lemurs, ruffed lemur, ring-tailed lemurs, aye-ayes, Small Mammal House (rodents, bats, armadillos, hedgehogs, nocturnal animals), Vivarium (galapagos tortoise, saltwater crocodile, green iguana, geckos, corn snakes, Japanese pond turtles, and other reptiles and amphibians), Children's Zoo (guinea pigs, rabbits, cows, goats and other domestic animals), etc.